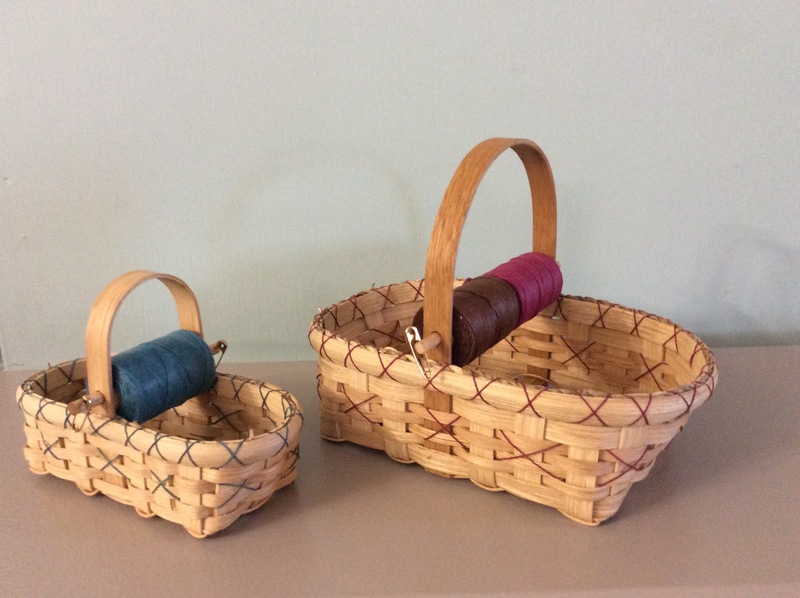 the Double Serve holds 12 full spools of waxed linen and 2 on the dowel. 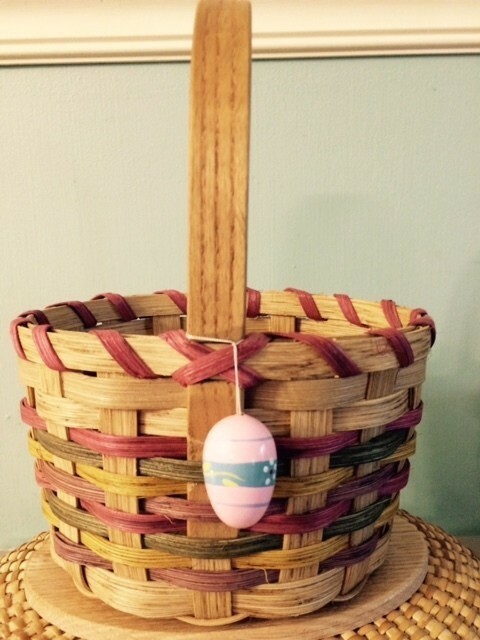 Lash with your favorite color! 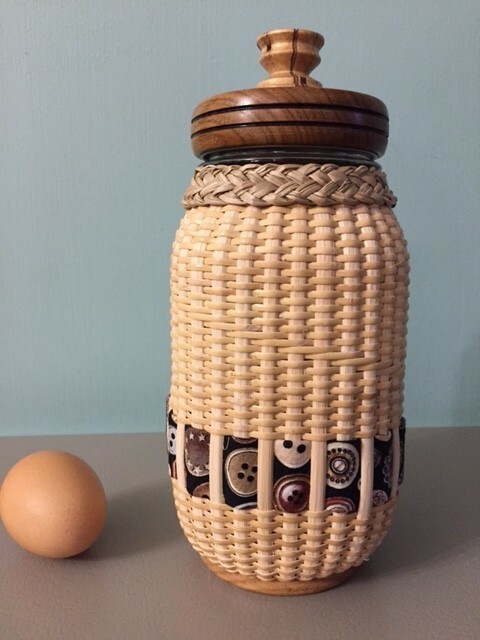 Woven on a Quart caning jar with a wood base. 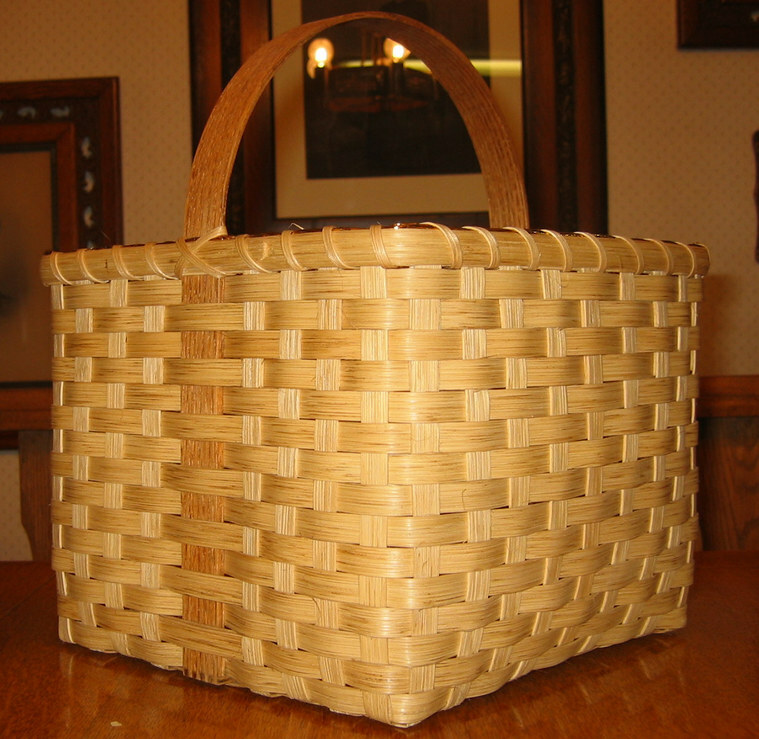 continuous weaving, no rim to lash! 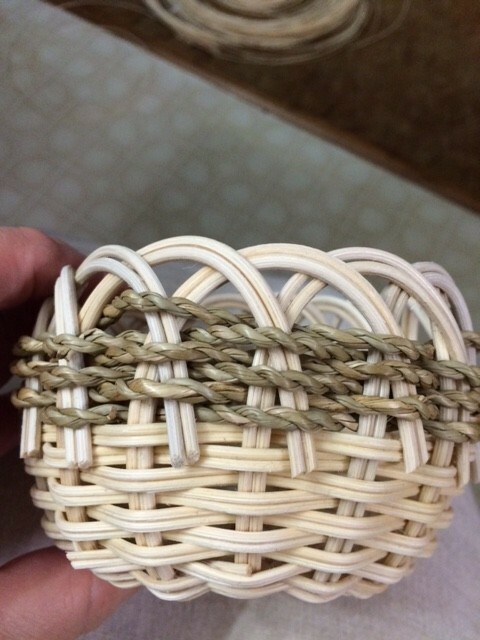 A very fun weave. 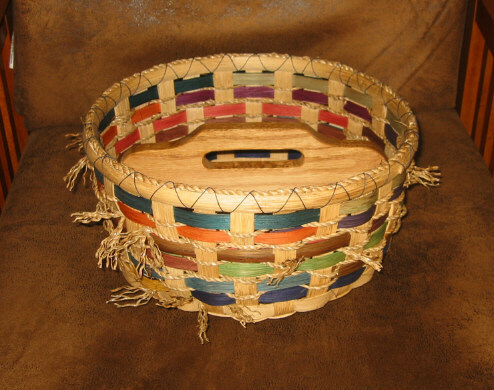 Woven on a wood base with holes in it and round reed spokes with a simple braided top. 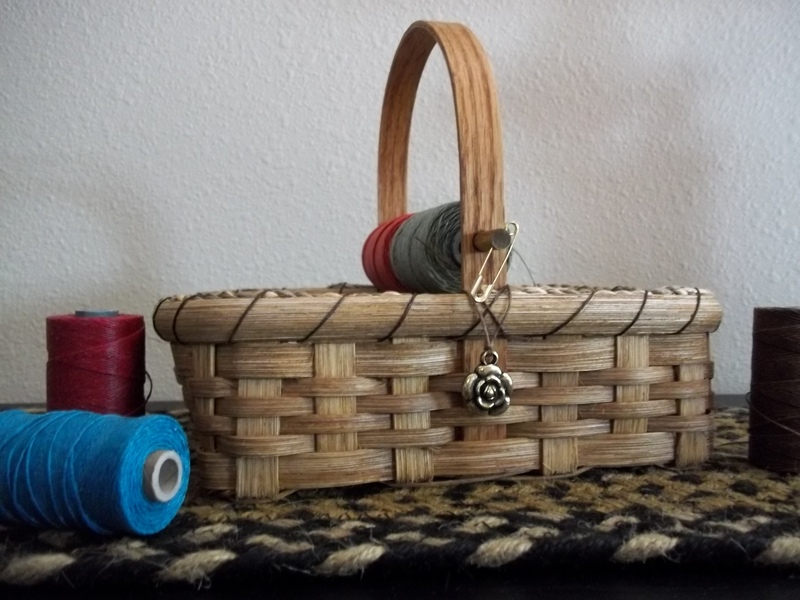 Beads included or add your own! 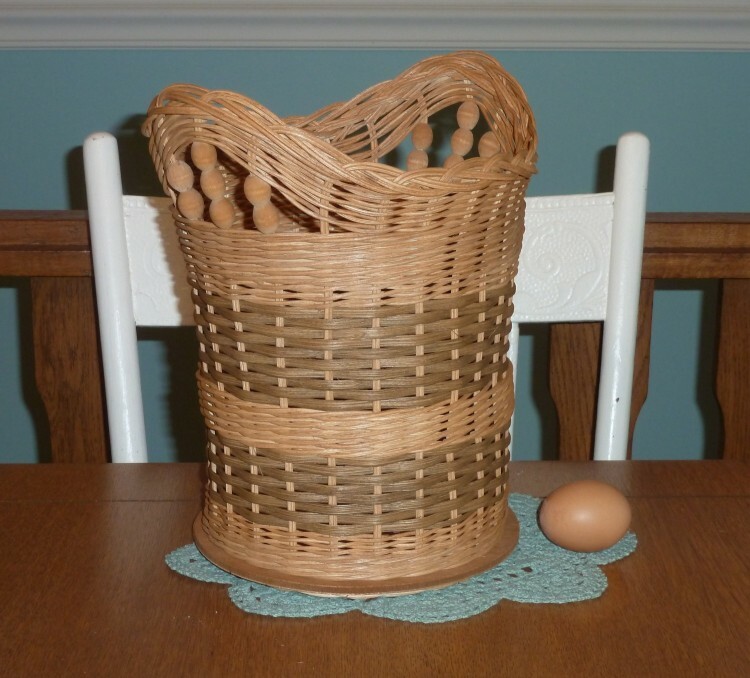 Just right for the little one or the perfect center piece on the dinner table. 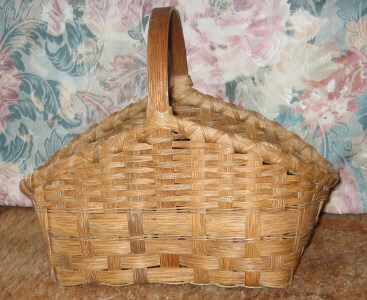 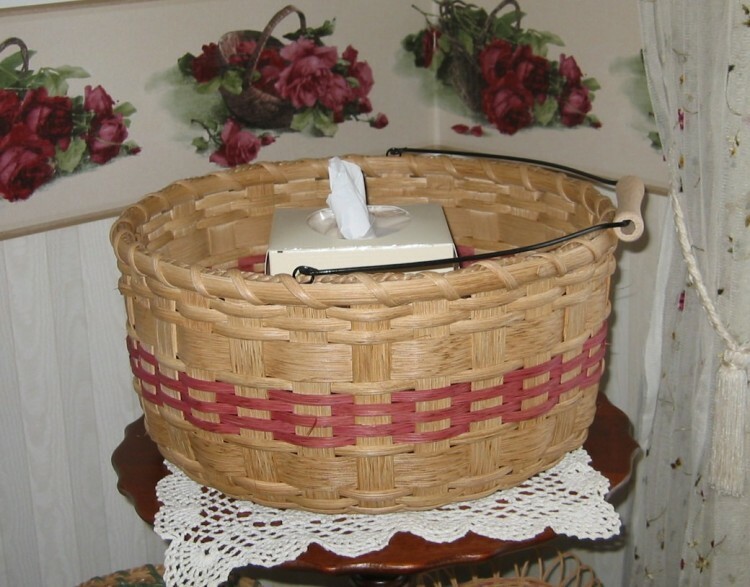 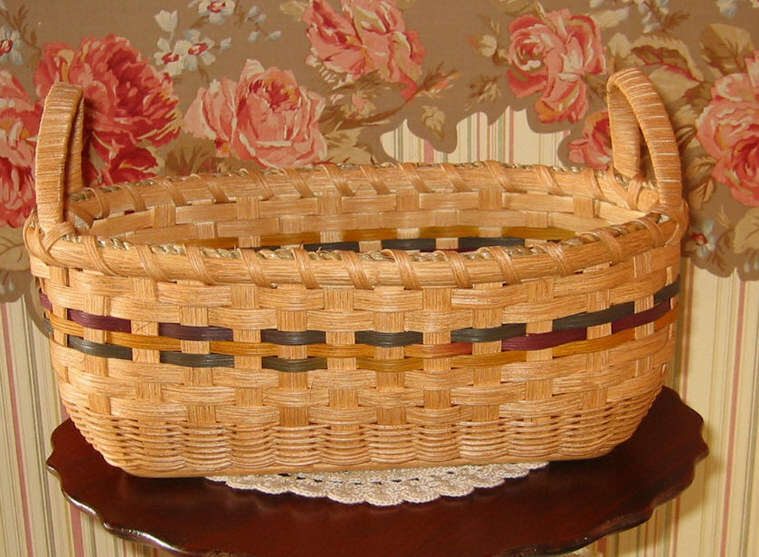 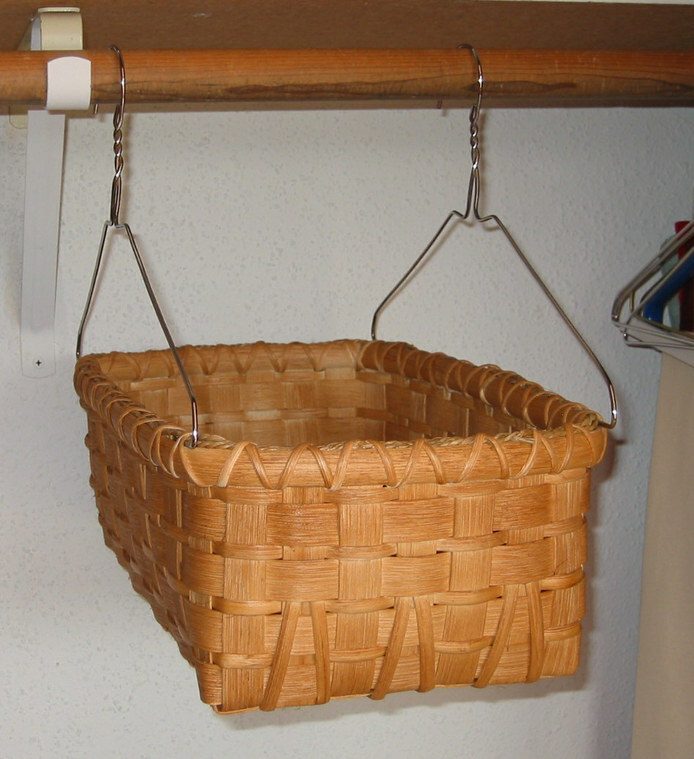 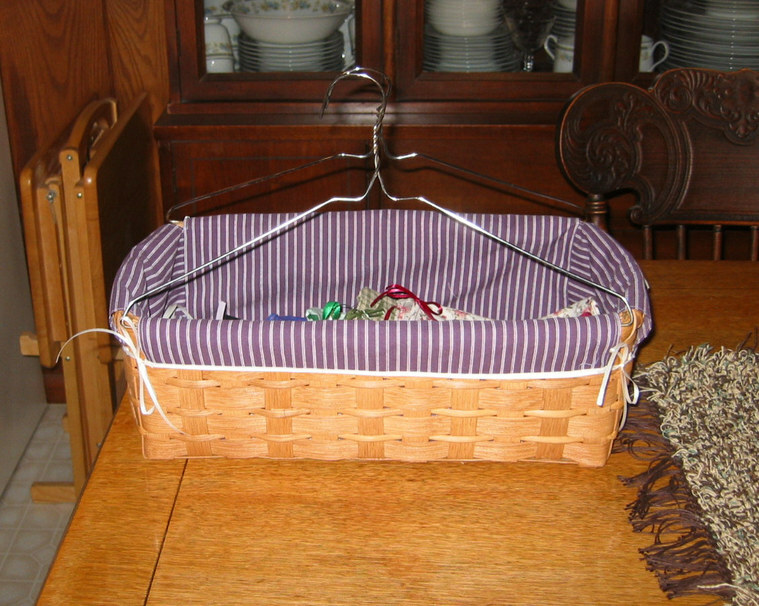 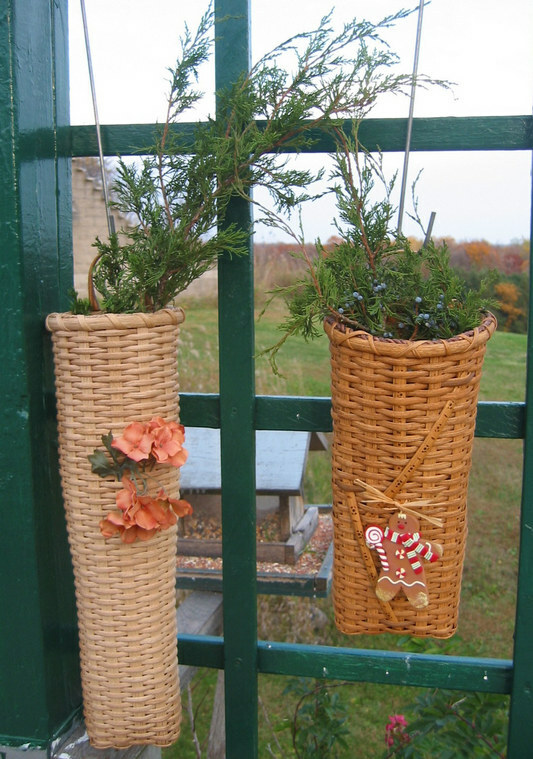 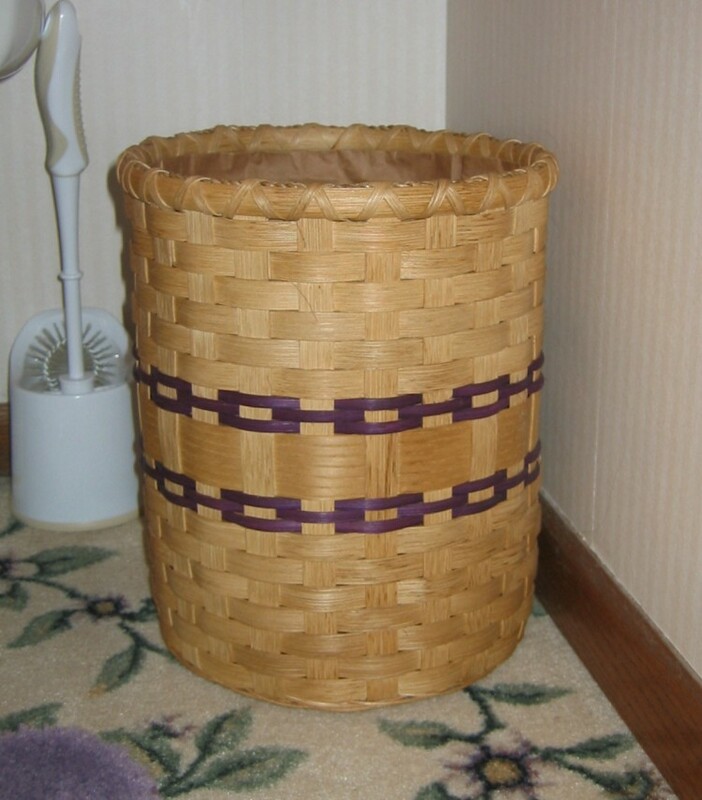 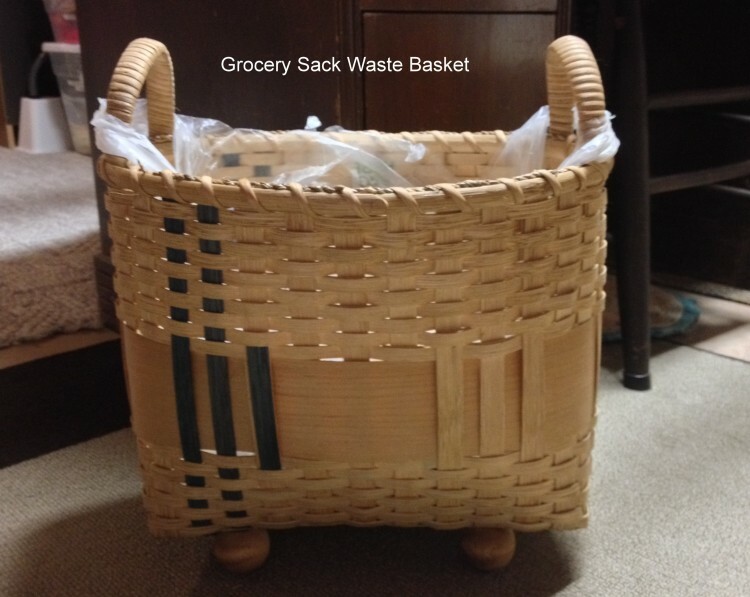 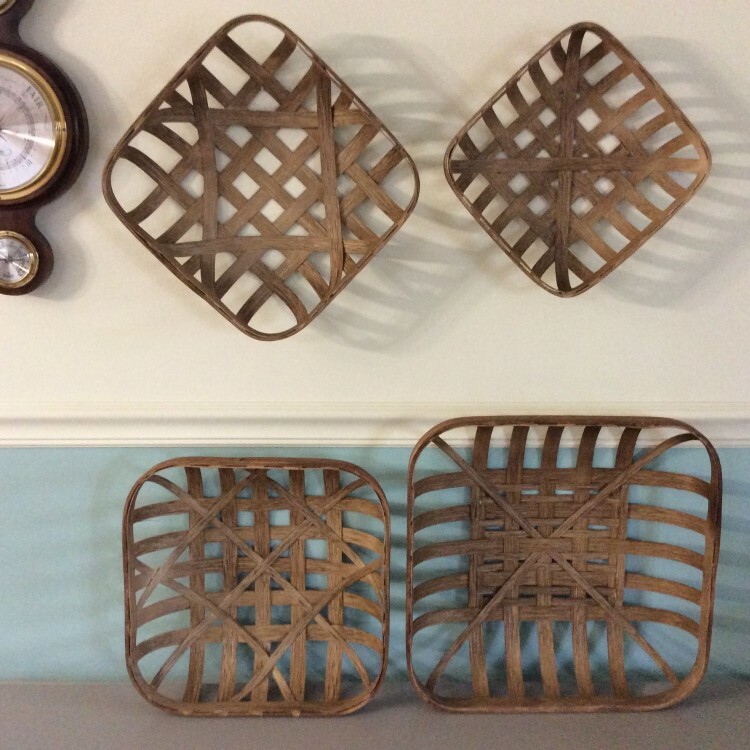 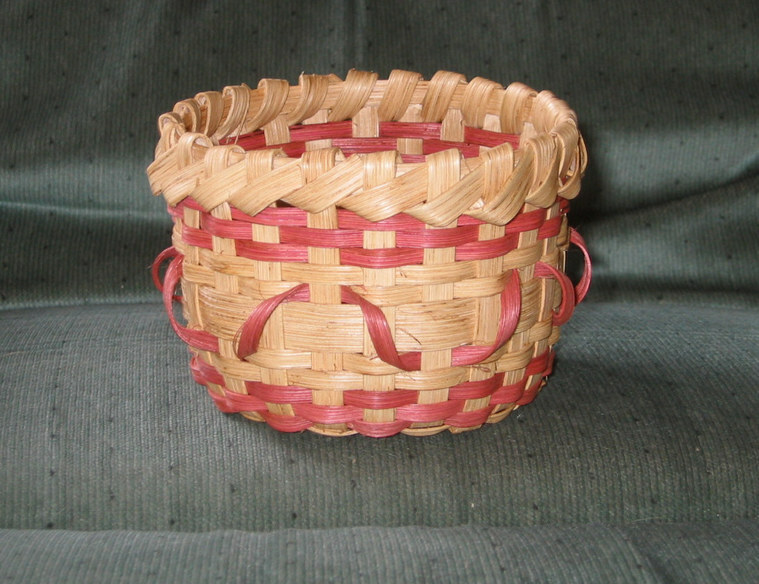 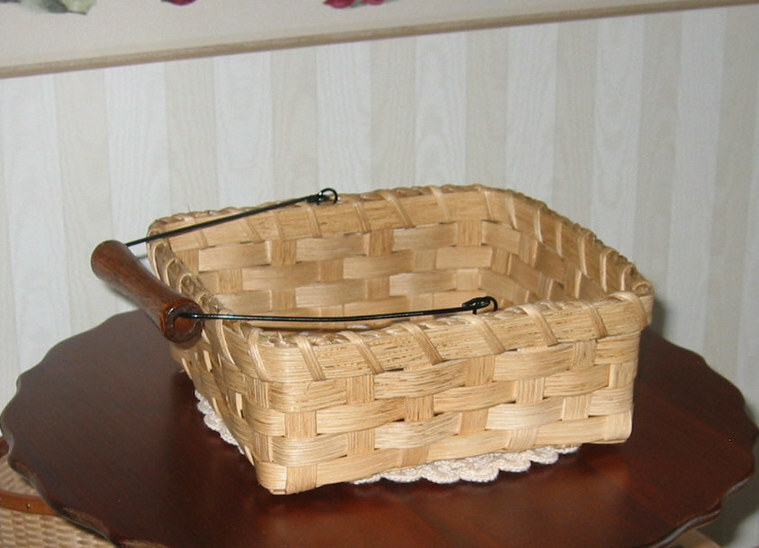 Woven on a wood base this makes a very useful size basket for any room. 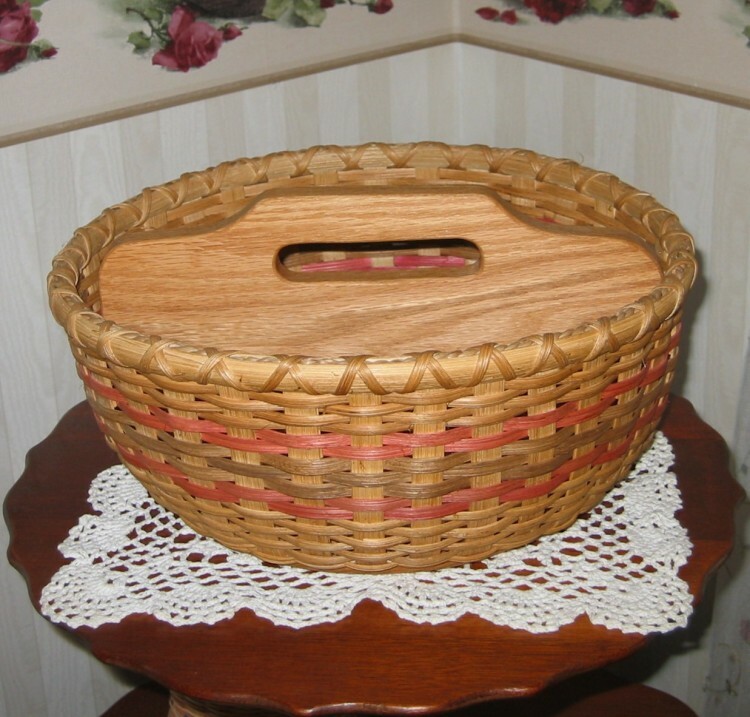 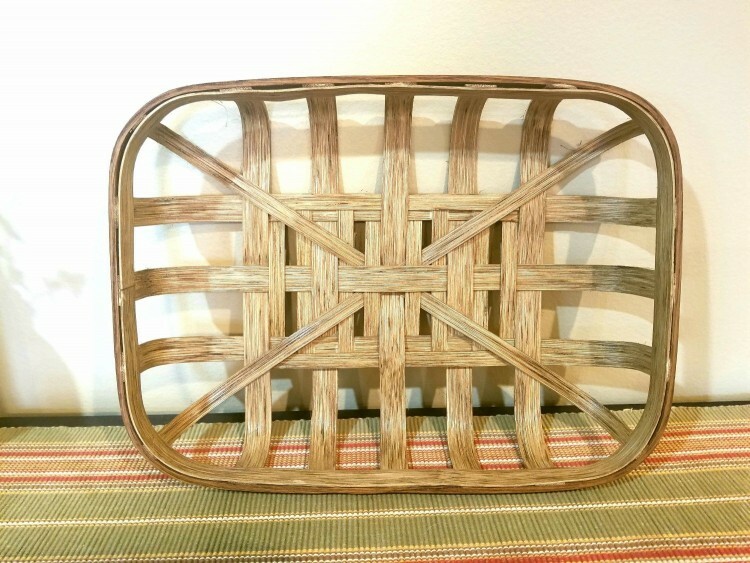 Half 'n Half Basket with a wood base and divider/handle.